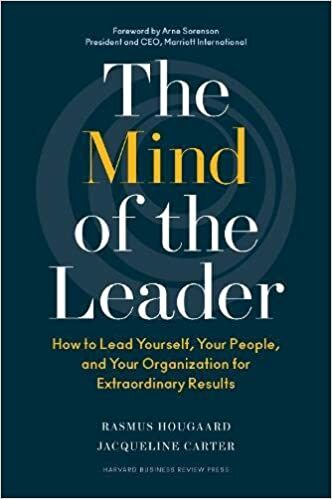 I wanted to like The Mind of a Leader: How to Lead Yourself, Your People, And Your Organization for Extraordinary Results to be a good book. The Amazon reviews were all four and five stars. I liked the basic premise of the book: you need to lead yourself before you can lead others. I read articles by authors and they were pretty good. The book, alas, was not pretty good. It was not good. It was awful. Here’s why I didn’t finish this awful book. That’s great, but what was the research? What were the remarkable results? Work with clients is not research, it’s work with clients. If that work produces remarkable results those results can be the starting point for research. Then the authors say they asked themselves what leaders need beyond mindfulness, and they surveyed and assessed over 30,000 leaders from thousands of companies and over 100 countries. They interviewed some leaders. And then they say this. That’s a good statement of what they concluded, but it’s not a description of what they did and how they reached their conclusion. It’s sloppy and self-promotional. The authors use common leadership terms in unconventional ways. They say internal drivers of intrinsic motivation are “meaningful engagement, connectedness, and feeling valued.” That ignores the work of Edward Deci and Richard Ryan, who have been researching intrinsic motivation since the 1970s. According to their research, and other research supporting their Self-Determination Theory, key drivers of intrinsic motivation are autonomy, relatedness, and competence. There’s no reason the authors of The Mind of a Leader have to agree with that. They can come up with something different. If you’re writing a business book where what you say conflicts with other, well-established, research you owe it your reader, to tell me how you differ and how you reached your conclusion. Mihaly Csikszentmihalyi, the researcher who coined the term flow, defines flow as total absorption in what you’re doing. That’s very different from being on autopilot. Again, there’s no reason the authors can’t differ with Csikszentmihalyi. Just tell me why you differ.